President Muhammadu Buhari’s support for an independent Palestini­an State forced Israel to formally recognize the agitation by the Indigenous Peoples of Bi­afra (IPOB) for the creation of an independent State of Biafra, an Arab diplomat has disclosed. The diplomat told The AU­THORITY at the weekend that Buhari’s pledge to help “our brothers and sisters in Pal­estine” attain independence greatly angered the Israeli gov­ernment. “The Israeli PM’s presence at the 51st ECOWAS summit in Liberia, the first by any Israeli leader to Africa, and the first by any non-African Head of State, coupled with the promise of a $1 billion solar power project for the region, was tailored to teach Nigeria a bitter lesson,” stressed the envoy. He noted that Nigeria’s ab­sence at the “very important” re­gional summit may have been orchestrated to avoid the embarrassment the very large Is­raeli delegation would have caused the country. The envoy said: “ECOW­AS countries have a combined population of about 350 mil­lion, of which Nigeria, which suffers tremendous power def­icit, has about 180 million or more than half of the total pop­ulation. Clearly, one would have expected such solar power plant to be sited in Nigeria, but Israel chose Liberia apparently to snub Nigeria.” He added that Israel’s bid for reinstatement as an observer in the African Union (AU) would further injure Nigeria’s interests. 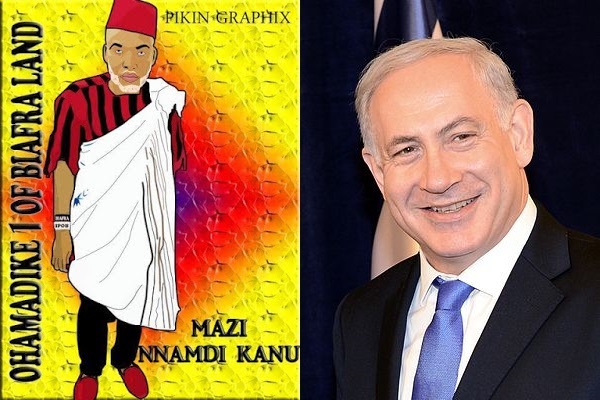 “Perhaps Nigeria should pay greater attention to Netanyahu’s forecast at the ECOWAS sum­mit that ‘Israel is coming to Af­rica and Africa is coming to Is­rael”, advised. The envoy. He expressed fears that with Nigeria’s decision to withhold funding of the ECOWAS may have come a whittling down of the country’s dominance in the sub-region. “Nigeria’s influence in ECO­WAS is at its lowest ebb. The country used to be the big­gest financier of ECOWAS, but stopped funding the body the moment Buhari came into power. Nigeria’s indebtedness now hovers around $700,000. What did you expect? The oth­er member countries are now forced to look elsewhere, and don’t be surprised if non-Afri­can countiries like Israel come in handy,” opined the diplomat. He cited the recent decision of Morocco, a northern African country, to join ECOWAS as a pointer to the belief that certain countries can’t wait to take over Nigeria’s leadership role in West Africa. 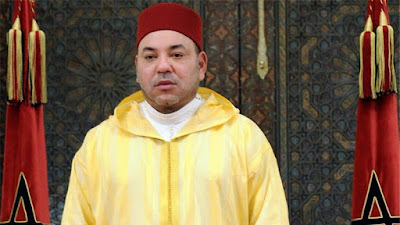 “I fear that like Israel, Mo­rocco may have a diplomatic axe to grind with Nigeria after your president (Buhari) open­ly declared support for the in­dependence of Western Sahara just a few months after hosting King Mohammed VI in Abuja”. ”I don’t know the shape of your country’s foreign policy. Your president goes about can­vassing support for people who seek self determination in Isra­el and Morocco, yet rolls out the tanks on Nigerians who express the same sentiments. The hand of God is at work in Biafra project. May God Almighty who have started this work continue with until Biafra is restored. God bless Isreal and Morocco with other lovers of freedom,justice,equality and fairness. Long Live the Republic of Biafra! Orthotic back braces provide those who have back pain with a way to relievesoreness without the risks associated with surgery. If you need to Inversiontablesselect The best back brace and Support Belt to cure your back pain.